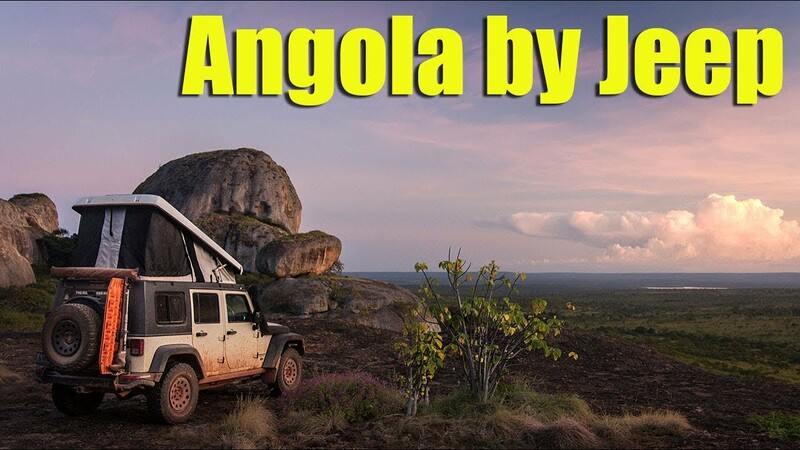 I have just posted a new video on YouTube, this one is about the 6 weeks I spent exploring all over Angola. It's only the second country on the entire continent I have extended my visa in, so you can imagine how much I enjoyed my time there. 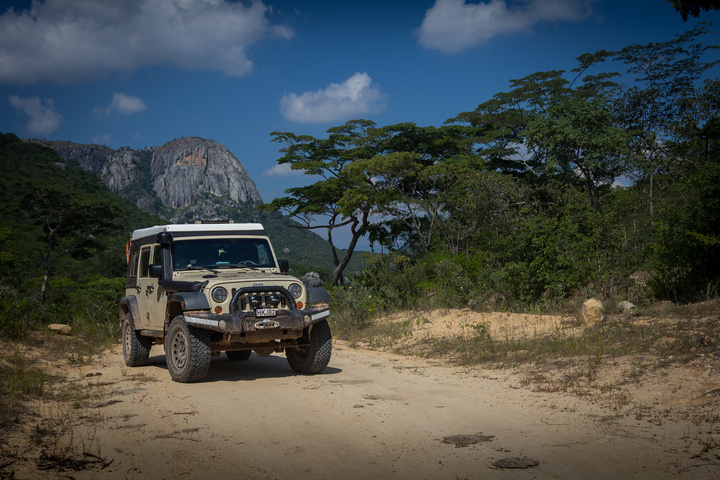 Angola really has everything you can imagine, and now the visa is getting easier and easier to get. I hear some nationalities can now get it on arrival at the border. Sweet! For anyone thinking about it, get yourself to Angola! 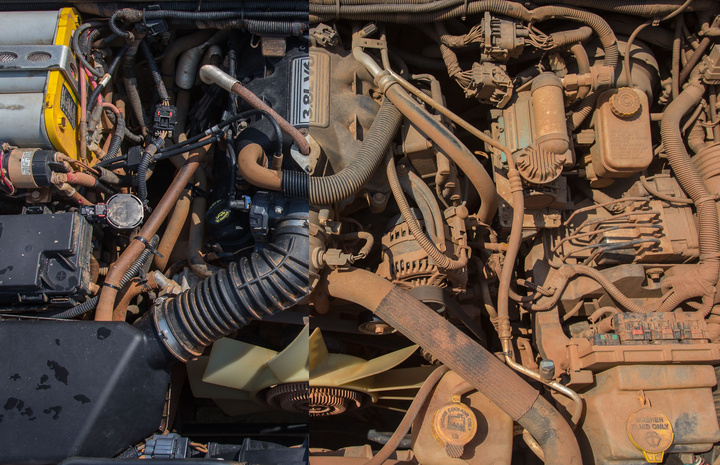 Everyone always asks how the Jeep is running, if there have been any failures and what work I have had to do to it. Fire away with any questions you have about everything. 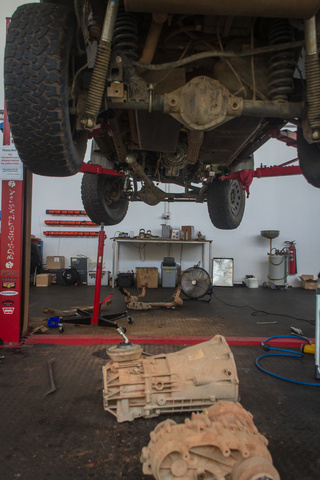 The Jeep should be good now for another 40,000 miles on the famous Cape to Cairo run on the East Coast! 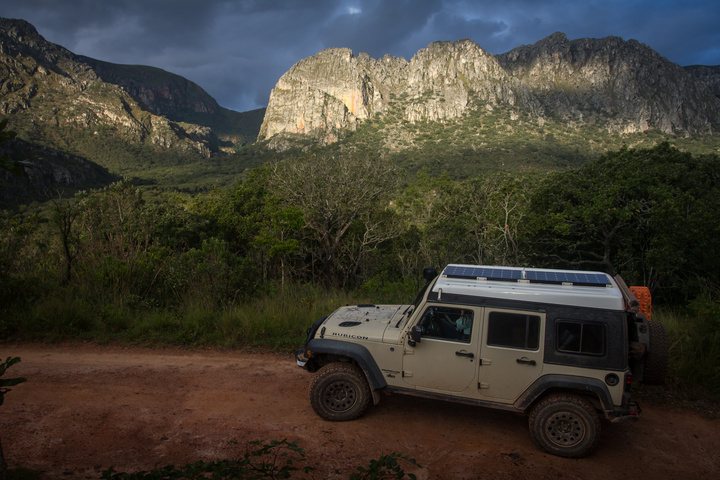 After over 6,500 miles through South Africa, I cut through Swaziland briefly, and now I I have driven into country number 23, Mozambique! The border crossing was easy and hassle-free. I was told becuase it was raining there would be no Poilce to bribe me on the roads. Perfect! From the capital of Maputo I have moved up the coast and found paradise in the little beach side town of Tofo. I rented a surfboard and am now living the beach life! Speaking Portuguese again is great fun, the water is warm and the beers are cold and cheap. I suspect I might stay a while! Just bought the E version of Volume 1. My wife and I are doing West Texas to Ketchikan via Calgary and back through Vancouver BC and down the western side of the Rockies next fall. Curious to see where you went along the way and what I might have missed in our loosely planned routes. Safe travels! 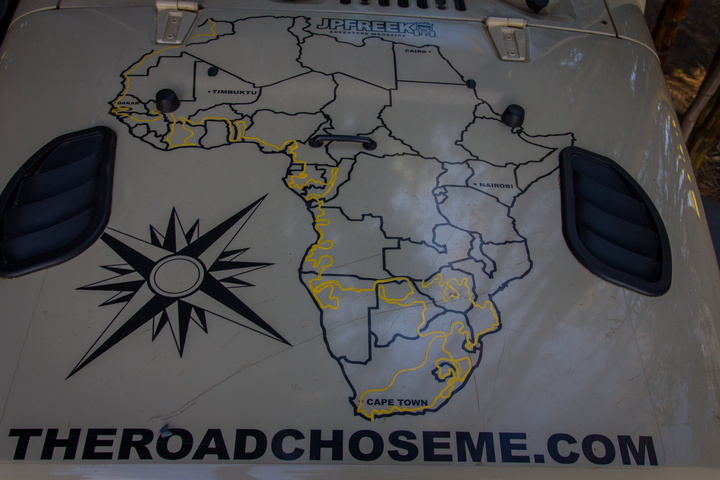 After a great time on the beach in Mozambique, I have driven into African country number 24, Zimbabwe. The Immigration guy in Mozambique didn't want to let me leave, though after a few hours of patience he finally let me go. As beautiful as it was, I don't really want to get stuck there! 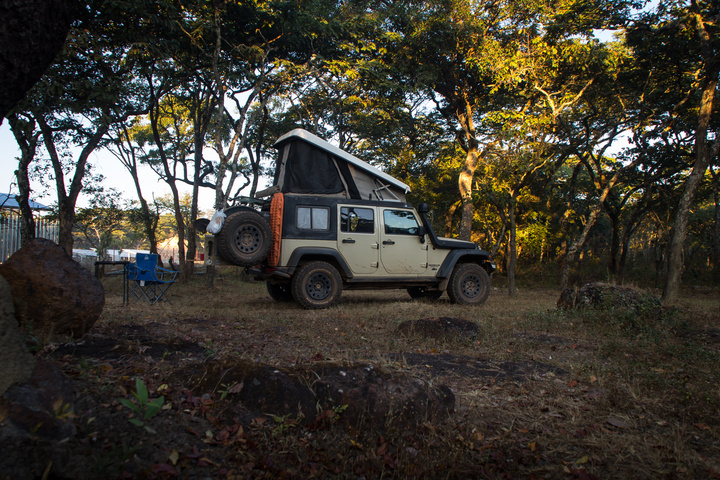 Right from the get-go the mountains in the Eastern Highlands of Zimbabwe are stunning, and provide tons of gravel roads to explore and endless wildcamping. The country feels free and happy to be rid of their dictator who was kicked out by the military just under a year ago. Finally people can talk about how bad Mugabe was, and they seem all the happier for it! It feels like the country has a very bright future. I'm loving this place and the laid-back and friendly locals and already know I want to stay longer than my 4 week visa! Zimbabwe is continuing to blow my mind. Every day provides something new - it's always stunning, and there is never anyone around. 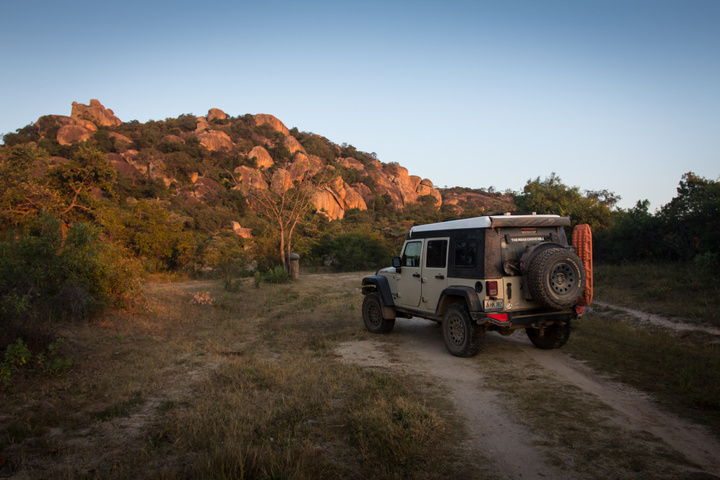 In the south I checked out the region near Matopos National Park which has a lot of beautiful places and great remote places to explore. 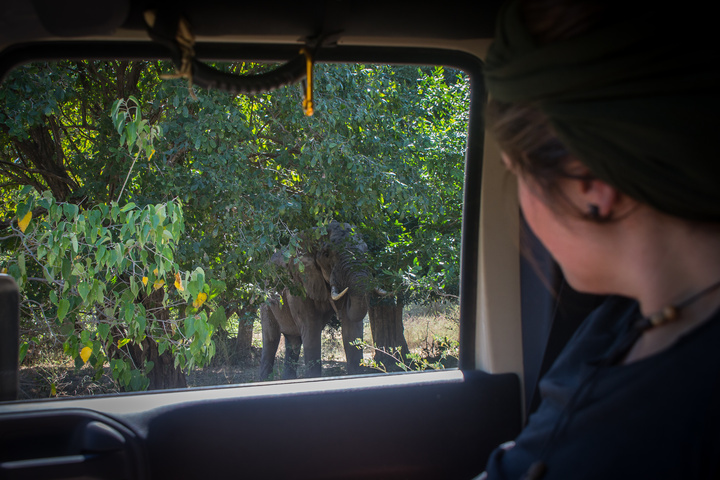 Since then we've been checking out Mana Pools National Park. 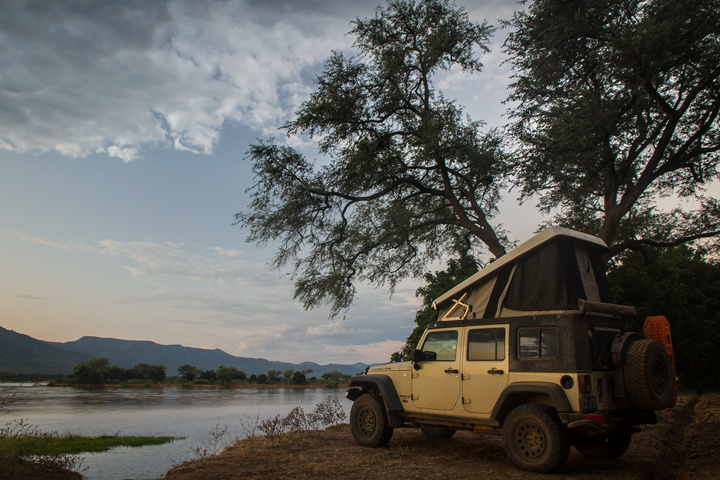 We camped right on the banks of the Zambezi River looking out to Zambia. Elephants walked right through camp, and at night a Hyena came within 20 feet of me, and we could hear lions roaring not too far away while sitting around the fire. Spine tingling. People ask how close we get to the big animals. 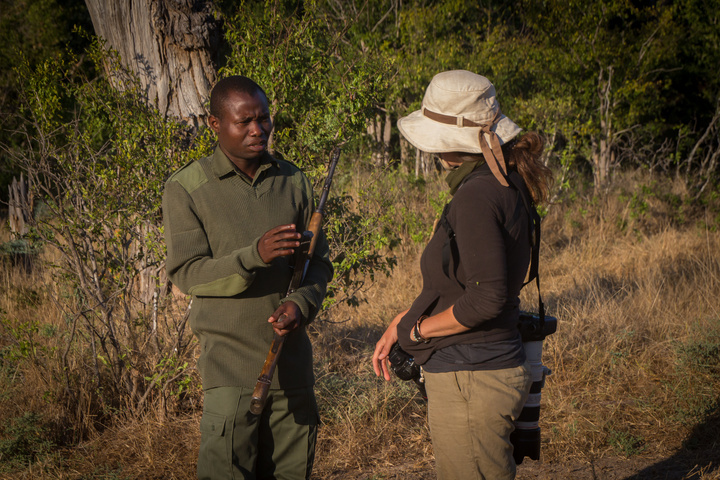 This guy with the AK47 was our guard while walking around looking for lions. We could hear two different prides roaring with us in the middle - though we never did see them. Doing it on foot is a whole different experience! Also I just uploaded the latest YouTube video, showing our time in Botswana. 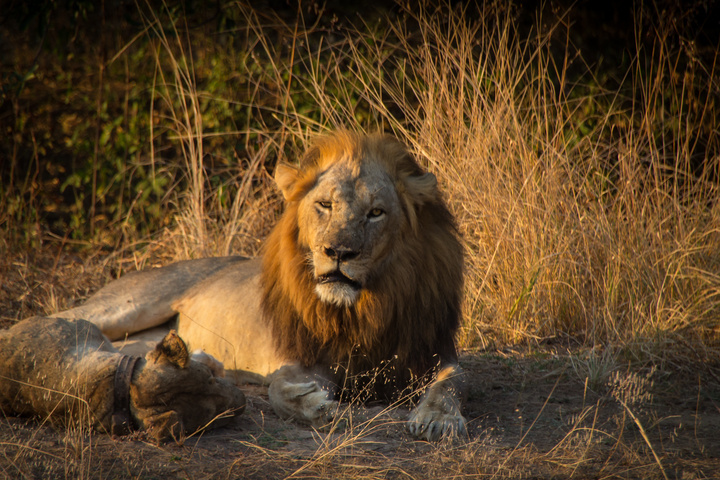 Being extremely close to lions is hard to forget! 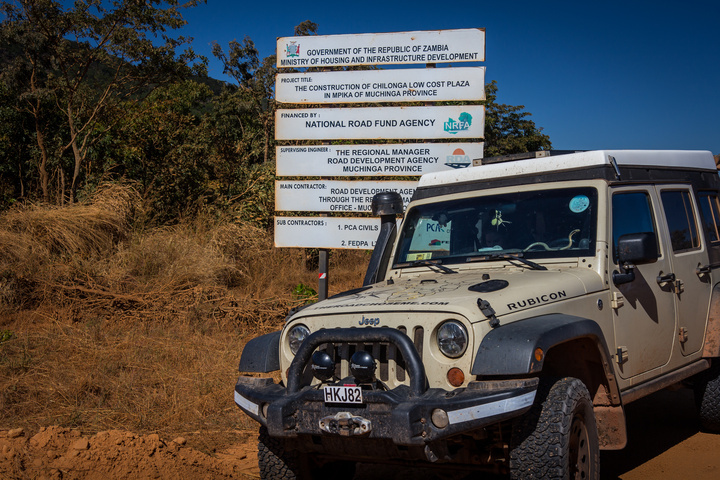 After a total of 38,668 miles I have driven into African country number 25 - Zambia! I'm really looking forward to this one, and finally I feel like progress is being made on this "to the North" segment of the expedition. The map on the hood is getting filled in by the day! Zambia is off to a stunning start. 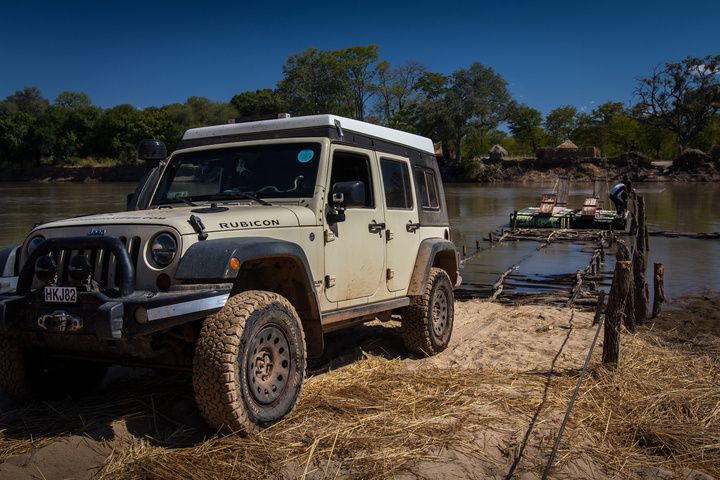 I have been playing with Chimpanzees again, hiking into beautiful waterfalls, exploring wilderness areas and ancient caves, and I even managed to run the Jeep out of gas! 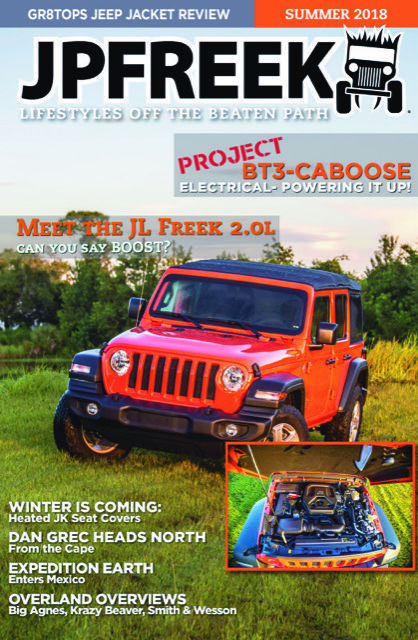 Also the latest edition of the FREE JPFreek Adventure Magazine just came out! 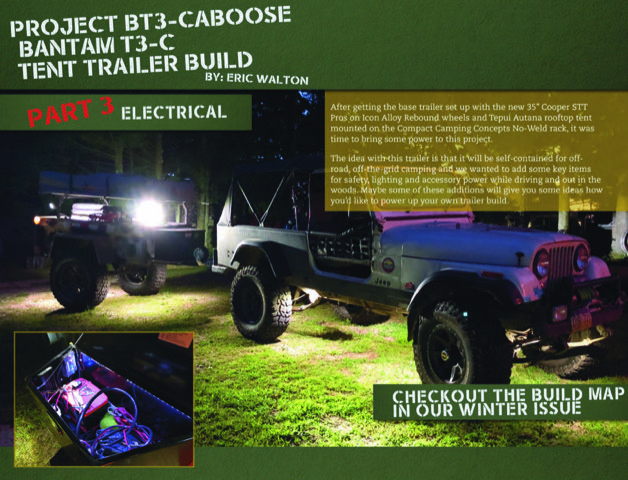 There is a big update from me, and the Editor Eric has built a wicked offroad trailer that has me drooling. I've never been a trailer guy, but he has me seriously thinking about it for the future! Just for the fun of it, I'm running a prize pack giveaway ! 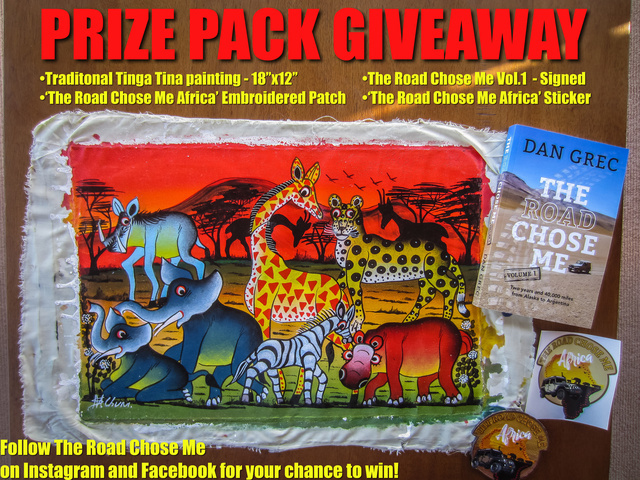 For your chance to win, just follow The Road Chose Me on Facebook and Instagram. 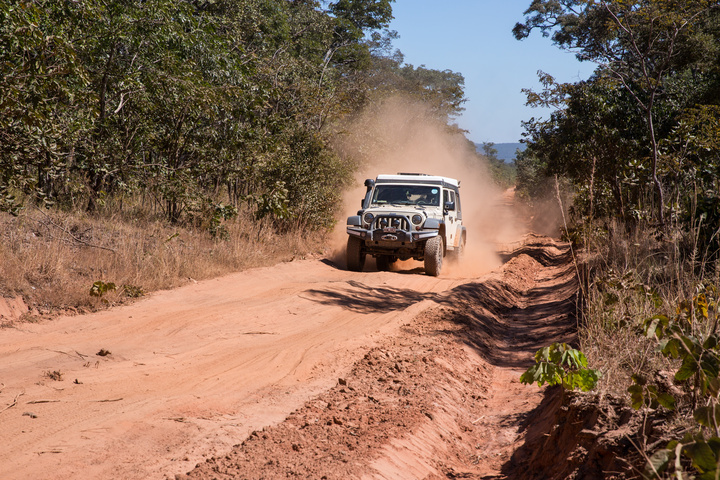 I've been exploring remote parts of Zambia and absolutely loving it! 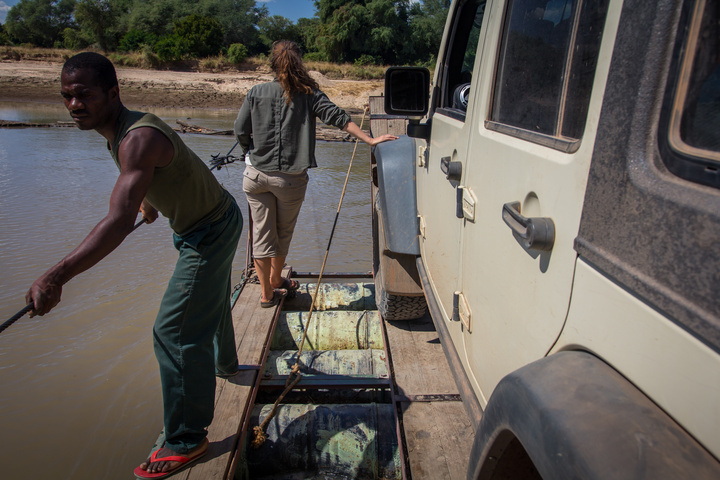 This ferry across a hippo and croc infested river was a highlight - it's a bunch of barrels lashed together, and it's pulled across the fast-flowing river by hand! 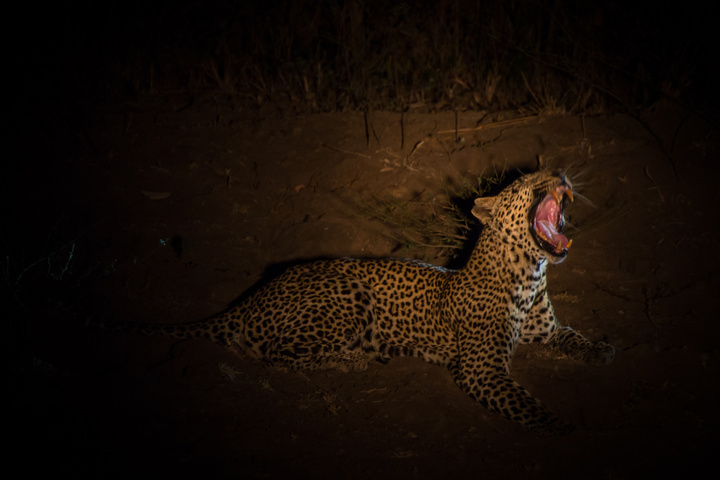 Since then we've treated ourselves to some affordable luxury at Marula Lodge on the banks of the Luangwa River, where we go into the National Park every day at sunrise and sunet. 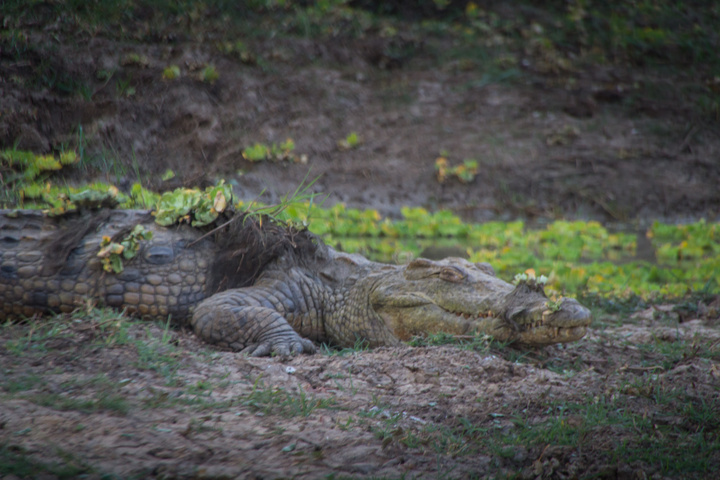 And we even saw this lion chased off the river by hippos! So much for king of the jungle! This is so epic! So glad i found this thread have fun and safe travels. 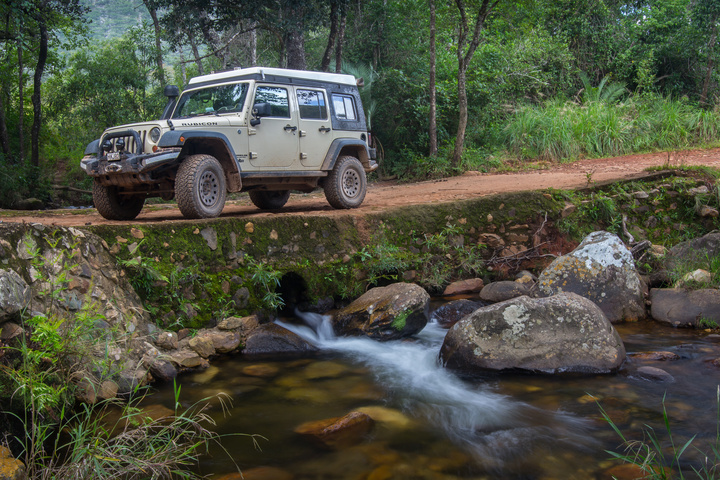 Speaking of safety.. how is that aspect of your adventure going are you ever concerned for yourself or your Jeep and if so how do you mitigate risk out there? 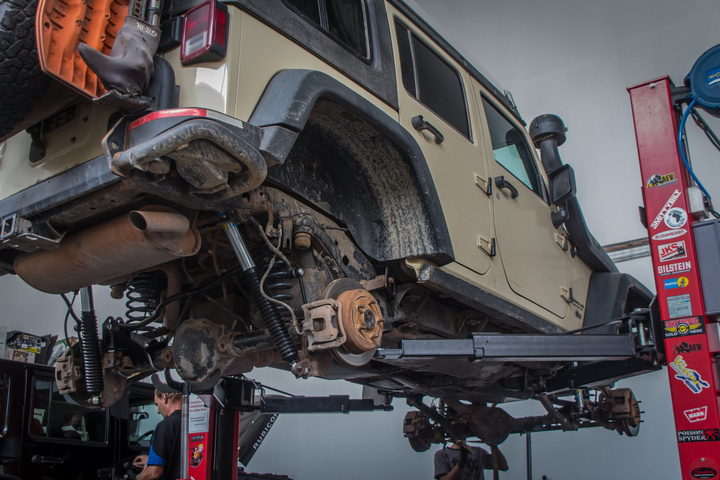 2015 JKUR + AEV goodies. Relocating to Knoxville, TN in June/2016. 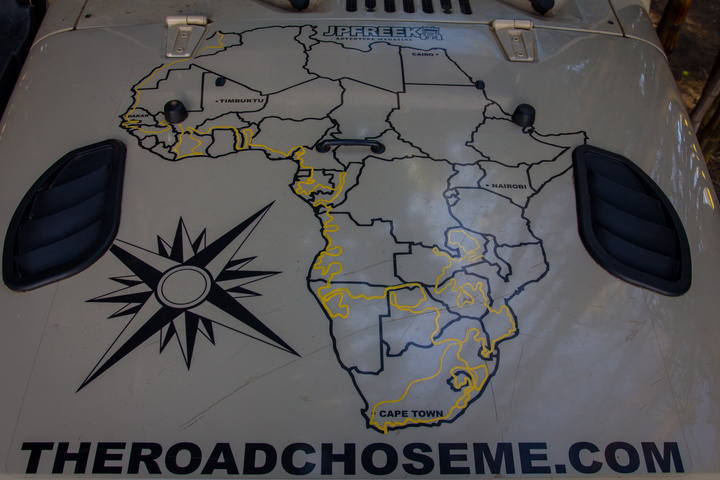 That is a absolutely amazing journey you are on with that jeep! On the entire journey I have never once felt scared or concerned for my safety. I have never been threatened, never seen a knife, never heard a gunshot. People are insanely friendly and welcoming for the very vast majority of the time. I have had a few animal encounters... 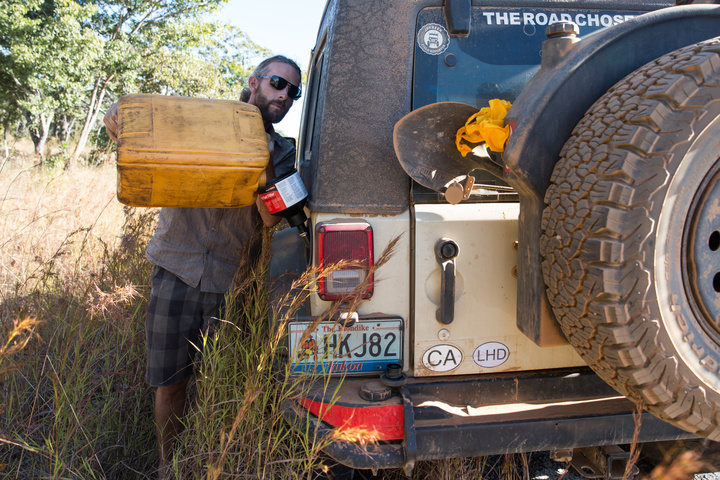 I woke up one night to a hyena sniffing around the rear tire, about 3 vertical feet from my face... I have seen a few snakes a scorpions while on foot... heard lions roaring nearby while sitting around campfire in the dark etc. etc. I have crossed into Malawi - a painless border crossing. 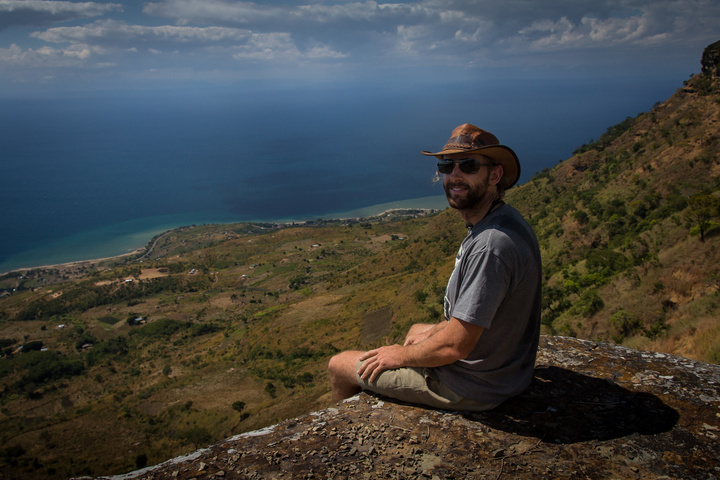 I have been camping lakeside and enjoying paradise - Lake Malawi is hard to beat! ..and now after driving up a mountain, I'm camping at a place called Mushroom Farm overlooking the lake. It's fantastic. Malawi has been great, though a little difficult. With the language barrier and extreme wealth disparity I found it virtually impossible to connect with the local people - a first on the continent for me. 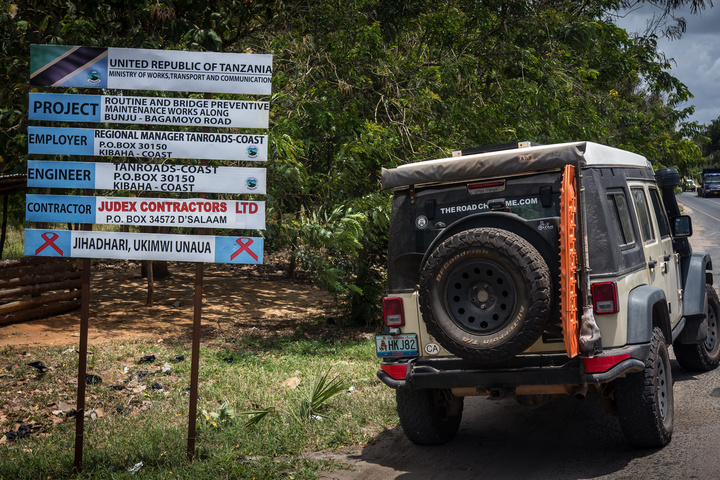 I have driven into Tanzania, which turned out to be the hardest border crossing of my life. 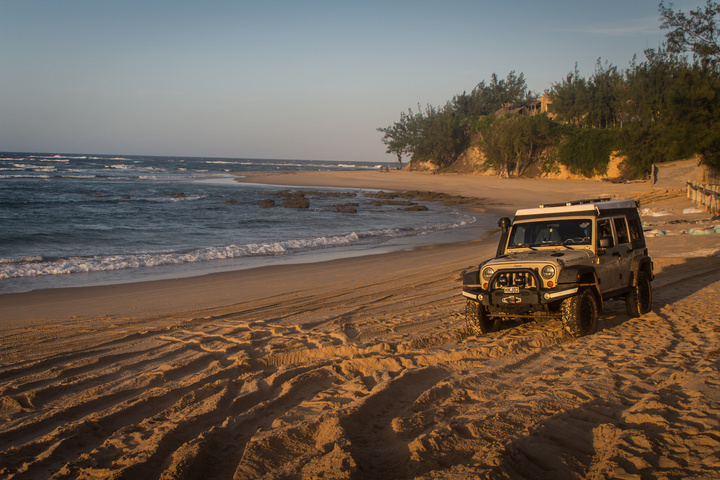 I don't have a "Carnet De Passage" which is an international customs document for the Jeep, and so far I have managed every country without one. Tanzania didn't want a bar of it. Officially their Temporary Import Permit is only for vehicles registered in nearby African countries, and so technically I MUST have a CDP. After lots and lots and lots and lots of discussion and me basically begging, the guy finally let me use their Temp. Import Permit system! 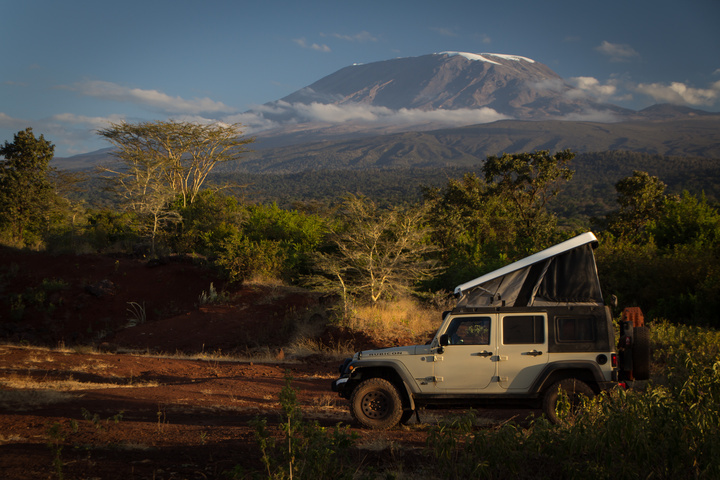 After a week of R&R and fun on Zanzibar, I have now cut across Tanzania, and I'm checking out Kilimanjaro. Wild camping in the shadow of a big glacier-capped mountain feels just like being back in South America. 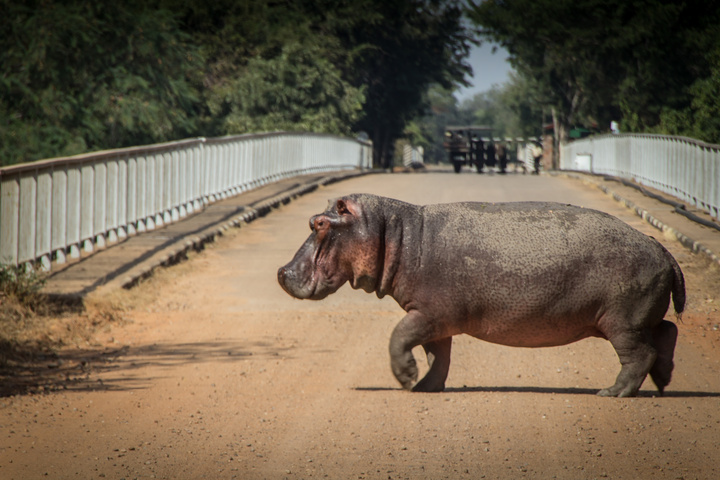 Tanzania is enormous, I'm cutting inland now to checkout a couple of tiny countries in the very heart of Africa!